POSITION: The Michigan Immigrant Rights Center (MIRC), a statewide division of the Michigan PLP, LLC, is seeking candidates for a bilingual intake coordinator at its Ann Arbor office. DESCRIPTION OF PROGRAM: MIRC is part of the Michigan PLP LLC (the LLC), a non-profit law firm providing free legal services to very low income and senior persons through several statewide programs. MIRC is the division of the LLC that provides legal assistance to vulnerable and low-income non-citizen populations across the state through direct representation, pro bono referrals, impact litigation, training, coalition building, advocacy, technical support, and more. RESPONSIBILITIES: The intake coordinator will play a key role in assisting MIRC’s efforts to manage a robust and busy intake system. The coordinator’s responsibilities will include conducting phone-based intakes, reviewing intakes taken by other staff and volunteers, performing follow up and other assistance on open and rejected cases, helping with other clerical and administrative tasks, and overall, ensuring that all new cases are reviewed in a timely manner. QUALIFICATIONS: Excellent communication skills in English and Spanish are required. An Associate’s Degree or commensurate educational and professional experience is required, Bachelor’s degree preferred. Candidate must be detail-oriented with strong organizational skills. Candidate must be proficient with Microsoft Office. Preference will be given to candidates with a demonstrated commitment to social and economic justice, especially in the areas of worker or immigrant rights. 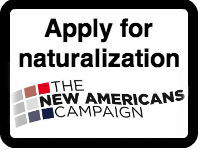 No prior legal or immigration legal experience required, though it is preferred. BENEFITS: This is a full-time position with a salary starting at $31,000 and includes excellent health, disability, and fringe benefits. Ann Arbor is a college town in southeastern Michigan about 40 miles from Detroit.